View Poll Results: Howz the speed? Mine Is YOU Suvidha Plan 192 KBps ..!! //Moderator note: You have not activated your account. Please click on the link in the mail you received from the forum admin in your mailbox. Failure to do so will cause all your posts go into moderation. p/s. 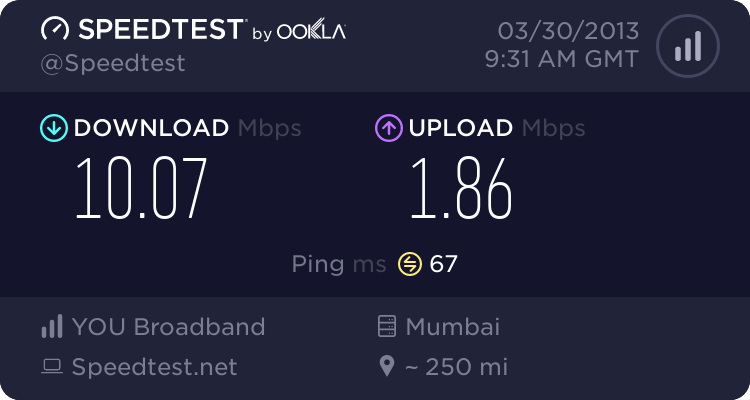 I corrected the link for speedtest. 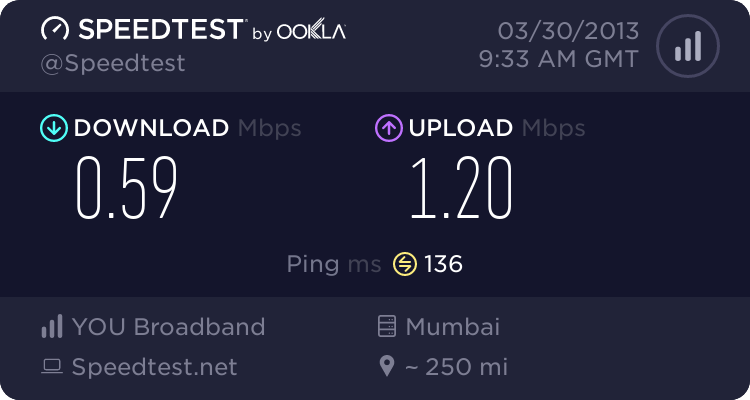 i got 192kbps unlimited plan & i must say that I get around 21kbps of download speed which is pretty much lame & when i checked it on the speed test here;s what appeared. p.s cant post image! my 1st post. Reduce the size of the picture JPG preferred. 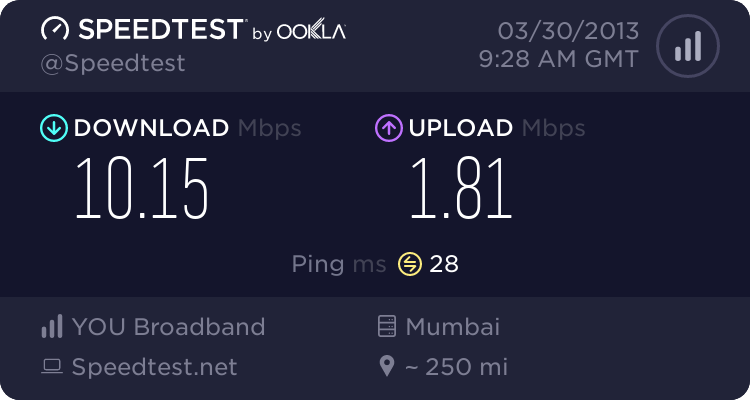 Is it 192 kbps or 192 Kbps or 192 KB/ps ? 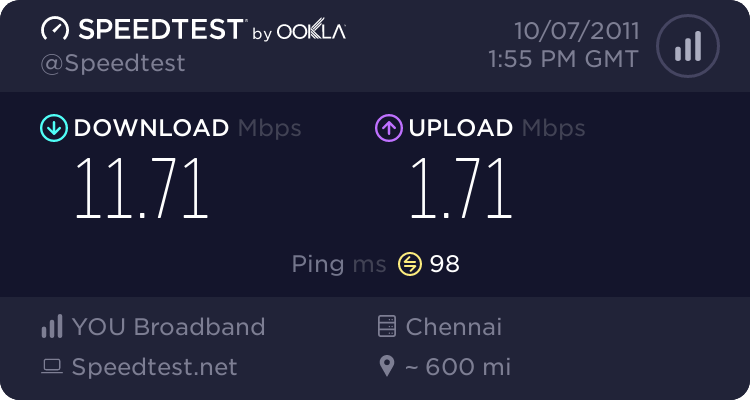 At the time of installation i got 1 mbps, but after 3-4 hour it is sucking. My plan: 16 Mbps till 50GB then 768 Kbps unlimited. That is really some good speed. How much do they charge for this 16mbps plan? Is this also available in Delhi? Not sure whether this plan is available in Delhi. Kindly contact You Broadband customer care ask whether GPON broadband is feasible in your area. 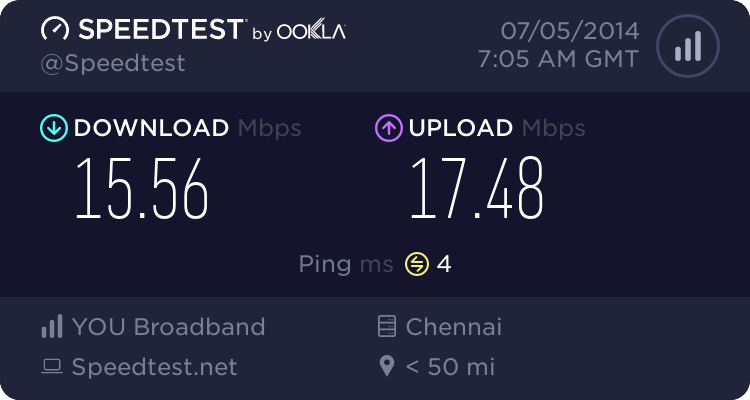 That is a good price for such fast connection and the FUP is generous as compared to other companies. I wish it was availabke in my area too. 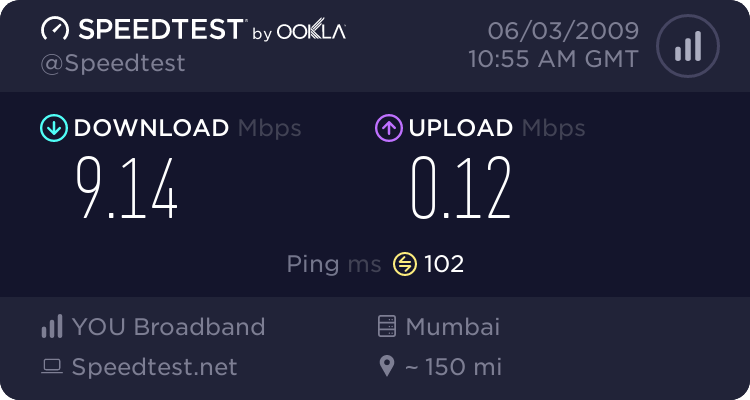 I have to make do with wireless connections these days..
EVDO USERS pls post your PING RESULT !!!! !